While many people have forgotten it now, Dungeons & Dragons once stirred up its own brand of parental anxiety and attendant media controversy. Back in the early 1980s, when the game first broke out of its rather small original niche and into the wider culture, many people found cause to worry about it. 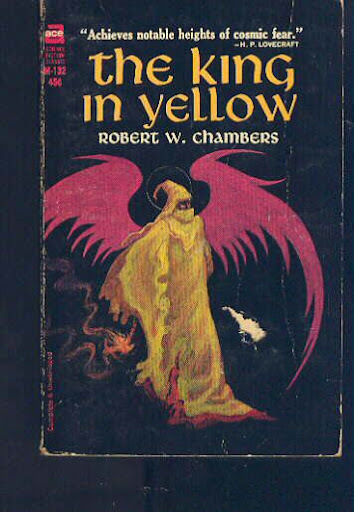 Christians believed that it encouraged occultism. Some parents, watching their kids spending hours and hours playing it and being preoccupied/consumed with it (I remember experiencing this kind of original fugue state the game could inspire), became concerned that the game could cause psychological damage to their children. 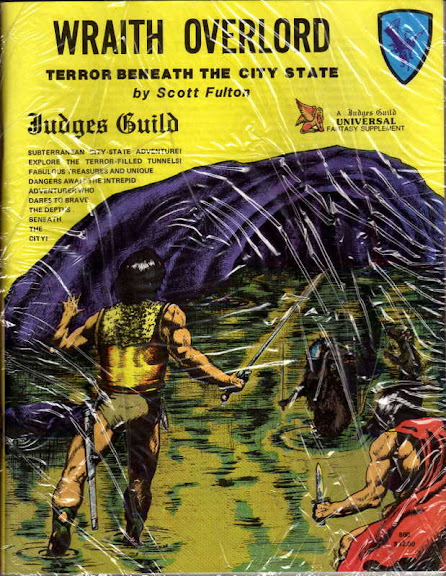 The Judges Guild’s “Wraith Overlord” module was an attempt to create a mega-dungeon, or series of linked underground adventures, under the famous City State of the Invincible Overlord. This publication was issued late in the company’s history and, while currently fetching high prices online, nevertheless has a rather mixed reputation. After all, people assume that the dungeon to the City State should be at least as detailed and interesting as the city above it. That is a high bar to get over indeed.